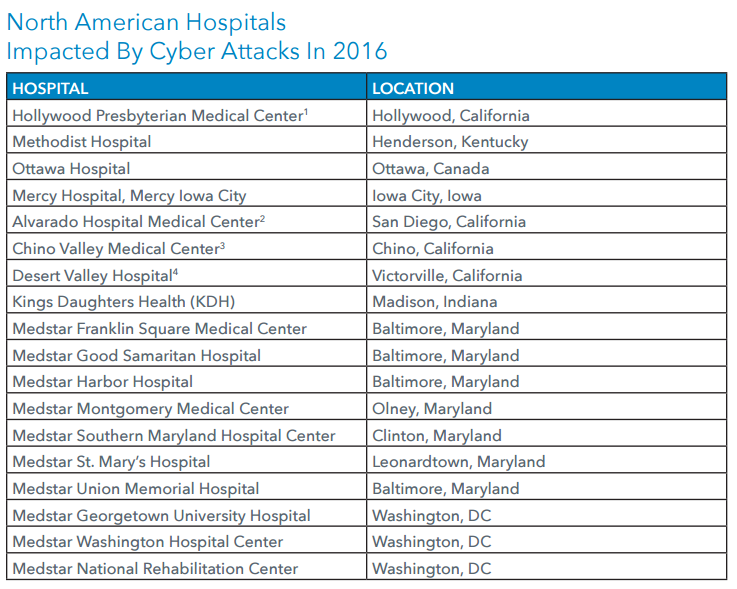 This year has seen record high attacks against hospitals, most notably the ransomware attack that held Hollywood Presbyterian Medical Center hostage for over two weeks. Data stored within healthcare networks is a rising target for attackers on a global scale and has become the number one most attacked industry according to IBM Security. This allows these old malware wrappers to “bypass modern endpoint solutions as the targeted vulerabilities have long since been closed at the operating system level.” Attackers can now create backdoors within these major healthcare facilities, and distribute their sophistitaced toolkits without ever generating an alert. Once installed, this malware can move laterally across the institution’s networks, and has the ability to exploit any information held within their systems. Creates a backdoor within devices running Windows XP and Windows 7, which can be used to pillage patient data for extended periods of time. Can leave ransomware behind in its wake. Disguises itself as old malware, which is usually ignored by operating systems and cyber defense implementations. 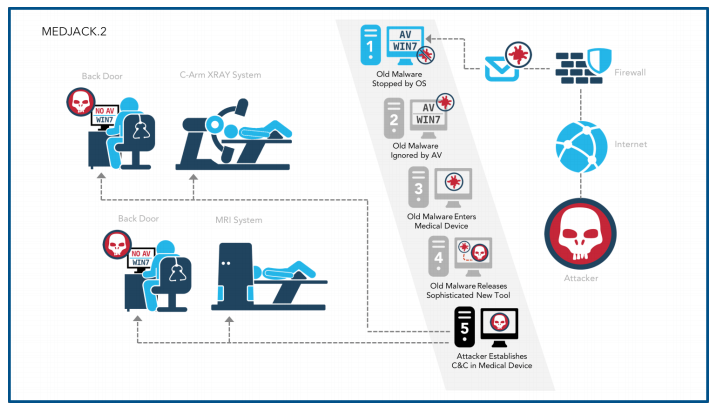 Has the potential to distort or change internal data on medical devices at an attacker’s command. Cyberattacks are not going anywhere, and only seem to be increasing on an exponential level. Every industry, and as 2016 has presented thus far – specifically the healthcare industry, NEEDS to get serious about their cyber defense initiatives. As a first step, we recommend creating a budget dedicated to cyber security. This may seem like a daunting task, but has the potential of saving your organization millions of dollars if you were to come under attack (knock on wood!). Bringing aboard a security expert to your team to help you understand how to create this budget, as well as hiring security staff and security actions. Review disaster recovery plans to really see how your networks and more importantly, patient information will be impacted.